Looking for deals in Berlin? Mercure Berlin Wittenbergplatz is set in the Schöneberg district in Berlin, just a 1-minute walk from the KaDeWe and the Kurfürstendamm-boulevard. Oh, we loved our room!! It has everything you need for a great stay. The bed and all the pillows were supercomfy. The shower is amazing because it gives you the option of a rainforest shower which comes in so relaxing after a full day of touring Berlin. The location is great! U-bahn is right across the square (a 2 minute walk) while the bus stop for the bus 100 which takes you to the biggest sights in Berlin about 5 minutes away by foot. The room was cleaned on a daily basis and the housekeeping department did an amazing job-thank you so so much for making our stay that much better!!! Overall I coudn't be happier, it was a great value for money! Offering fitness facilities, Grimm´s Hotel am Potsdamer Platz is centrally located in Berlin. It's a very nice experience to stay here. Nice location, convenient public traffic, clean and comfort room. Just half a mile from the Brandenburg Gate, Steigenberger Hotel am Kanzleramt is located next to the German Parliament buildings in Berlin. Free Wi-Fi access is available. The hotel room was excellent. Very comfortable bed. The breakfast was very good. Ideally located on Berlin's Gendarmenmarkt Square, this classical-style, 5-star hotel offers a casual dining at the Charlotte & Fritz restaurant, exclusive spa facilities, and free WiFi. Cleanliness, roominess, great bathroom. Front desk was extremely helpful. Location was perfect. Offering an exclusive Executive club and spacious rooms, this stylish hotel stands beside the River Spree on Berlin’s Friedrichstraße shopping street. Super facilities in super location! This Mercure hotel is located in the heart of Berlin, a 3-minute walk from Checkpoint Charlie and the Stadtmitte Underground Station. It offers a 24-hour fitness room, a sauna and complimentary WiFi. Close to metro, clean, big rooms, very friendly staff. This stylish hotel lies between the Mercedes-Benz Arena and the East Side Gallery, the remaining iconic section of the Berlin Wall. Staff was really nice and the hotel felt really fresh and clean. This 3-star hotel is part of the Wassersportzentrum Berlin water sports center, located directly beside the River Spree. The room was clean and comfortable. The staff was very friendly and helpful. This 4-star hotel in Berlin's Mitte district is just a 5-minute walk from the Friedrichstraße shopping mile. This hotel is well located. The room is also spacious. And clean. Located in Berlin, in the new Schultheiss-Quartier in Moabit (Shopping Mall) and next to Tiergarten park, 1.5 mi from Natural History Museum, MEININGER Hotel Berlin Tiergarten offers amenities... Lovely and helpful reception staff. Basic rooms but clean and very comfortable. Offering free fitness facilities, free refreshments 24 hours a day and free WiFi, this hotel is located in Berlin’s popular Hackescher Markt area. 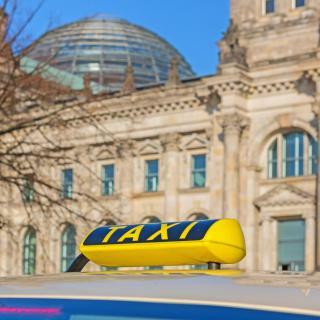 Alexanderplatz is just a 10-minute walk away. Great hotel with friendly and helpful staff. This 5-star design hotel in central Berlin offers stylish studios and suites with kitchen facilities. Super clean spacious and luxurious studio room in a great location. Would highly recommend. This 5-star hotel on Berlin’s Bebelplatz Square offers gourmet cuisine and a luxury spa with a 66-foot (20-meter) swimming pool. The historic Unter den Linden Boulevard is 500 ft away. We really enjoyed being able to walk outside in the morning onto the Bebelplatz. Just 1640 feet from Berlin Main Station, this stylish hotel offers a garden, free WiFi and rooms and apartments with a balcony. The Reichstag Parliament building is 1.2 mi away. The room was clean and quiet, with a lovely view of the garden/patio. This 5-star hotel features free WiFi, a spa area, and an indoor swimming pool. It is located by Berlin’s Kurfürstendamm shopping street, 1.6 mi from Zoologischer Garten Train and Underground Station. Friendly attentive staff. Great location. This hotel next to Berlin's famous Alexanderplatz square offers modern rooms with a flat-screen TV. Guests enjoy free Wi-Fi and great public transport connections. the rooms are very clean and the stuff are nice ! A spa with heated pool, 24-hour gym and elegant rooms are offered at this hotel. It lies just a 5-minute walk from Berlin Zoo and the Kurfürstendamm shopping street. very good hotel, excellent location and very good breakfast and service of all the staf. Which hotels in Berlin have nice views? 25hours Hotel Bikini Berlin, Waldorf Astoria Berlin, and Hotel Indigo Berlin - East Side Gallery got great room view-related reviews from travelers in Berlin. The average price per night for a 3-star hotel in Berlin this weekend is $187 or, for a 4-star hotel, $233. Looking for something even fancier? 5-star hotels in Berlin for this weekend cost around $531 per night, on average (based on Booking.com prices). Which hotels in Berlin are good for families? 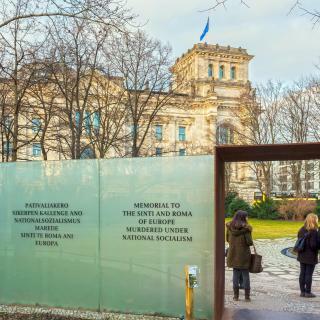 Many families visiting Berlin loved staying at Casa Camper Berlin, Hotel Indigo Berlin - East Side Gallery, and Hotel am Steinplatz, Autograph Collection. What are the best hotels in Berlin near Tegel Airport? Travelers who stayed in Berlin near Tegel Airport (TXL) have said good things about Mercure Airport Hotel Berlin Tegel, Mercure Hotel Berlin City West, and Central-Hotel Tegel. Which hotels in Berlin are good for couples? These hotels in Berlin are highly rated by couples: Casa Camper Berlin, Hotel Adlon Kempinski Berlin, and Hotel Indigo Berlin - East Side Gallery. Which hotels are the best ones to stay at in Berlin? Casa Camper Berlin, Regent Berlin, and Hotel Adlon Kempinski Berlin are some of the popular hotels in Berlin. Which neighborhood is the best one to stay at in Berlin? 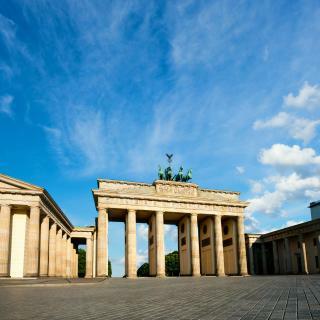 Tiergarten, Charlottenburg, and Mitte are popular with other travelers visiting Berlin. Which hotels in Berlin offer an especially good breakfast? For hotels in Berlin that serve highly-rated breakfasts, try Casa Camper Berlin, Hotel Adlon Kempinski Berlin, and Steigenberger Hotel am Kanzleramt. What are the best hotels in Berlin near Alexanderplatz? 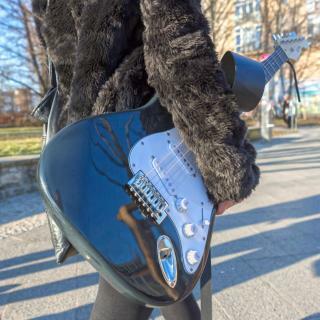 Some of the best hotels in Berlin near Alexanderplatz include Motel One Berlin-Alexanderplatz, Motel One Berlin-Hackescher Markt and Hotel Indigo Berlin-Alexanderplatz. How much does it cost to stay in a hotel in Berlin? On average, 3-star hotels in Berlin cost $94 per night, and 4-star hotels in Berlin are $124 per night. If you're looking for something really special, a 5-star hotel in Berlin can be found for $209 per night, on average (based on Booking.com prices). On average, it costs $96 per night to book a 3-star hotel in Berlin for tonight. You'll pay around $125 if you choose to stay in a 4-star hotel tonight, while a 5-star hotel in Berlin will cost around $226, on average (based on Booking.com prices). Home to the iconic Brandenburg Gate and the famous Fernsehturm at Alexanderplatz, Berlin is a renowned global city of culture, commerce and politics. Its eclectic architecture is visual and exciting proof of its fascinating history. 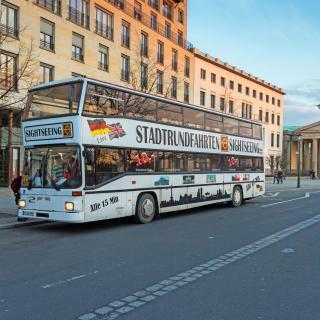 In "Mitte", the city’s historical center, you can find the famous Museum Island with the exquisite Pergamon Museum, as well as popular cafés, restaurants and clubs. The nearby Potsdamer Platz, once divided in two by the Berlin Wall, features great examples of ultramodern architecture and stunning night illumination. Berlin is the best place to try the famous Currywurst or jelly doughnuts, the Pfannkuchen. Explore the city’s busy nightlife, famous festivals and parades, or simply walk through charming neighborhoods like Prenzlauer Berg. Berlin is always full of things to do and see! 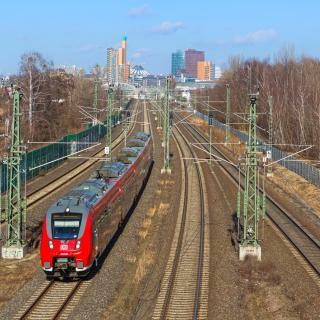 Traveling to the city center from Tegel International and Schönefeld Airports is a piece of cake using the S-Bahn, Berlin’s reliable public transit system. Whether you are looking for a cheap hostel, alternative apartment or a chic hotel, Booking.com has a perfect room for your trip to Berlin. personally I believe Berlin has been covered in numerous reviews, but being asked what I liked personally - to start with the hotel, Grand Hotel Westin Friedrichstrasse, rooms were spacy, the bathroom excellent, the food perfectly well sorted for the friends of vegetables as well the meat lovers. Then, I worked as a photographer in the premises next to the Brandenburger Tor, which was really a privilege. Last but not least, I enjoyed the co-location of modern architecture and the ancient buildings, which visualizes transition in the best possible way. Favorite places are the Reichstag, the old zoo in the eastern part Tierpark Schönbrunn, the old town of Köpenick, the lake Müggelsee, the Paul Löbe Haus and of course the Hansa quarter. Excellent facilities, particularly public transport. Excellent facilities, particularly public transport. Not as 'Germanic' as it used to be; the traditional 'German' seemed to be in the minority in our hotel area. Lots of multi-cultural restaurants, some of them a bit sleazy, but also some very good ones. Checkpoint Charlie hugely over-rated, and the Museum needs to be re-configured (it's a mish-mash). Zoo disappointing with lots of stagnant water. Animals looked unhappy. Bus/Boat tours excellent. Overall, we were pleased to note that it was not as expensive as we were fearing. Probably £1 was equivalent to about 1 Euro ie slightly cheaper than in UK Location is all: find accommodation near U/S Bahn stations and bus links - all frequent and efficient. Berlin is a great city, very impressive, much diversity and many old and impressive buildings as well as monuments. I was just there for a concert, so 2 sleepovers, and honestly, I could easily have used an additional day. A downside which is truly a shame though, is all the graffiti. a thing to note is also, that the elder population doesn't understand English, which makes life a little harder for non-German speaking tourists. But, the people I've encountered in my need for guidance (mainly directions, but anyways), the German populace is very helpful, and will do what they can to assist you. I got lost a some point, and a few people I asked for assistance in re-finding my hotel, and they could "only" give me a general idea of which direction to go, even apologized for not being of better assistance, it's somewhat nice, but a bit of a shame, since I don't think they realize how much of a help it is, to get told: "you need to go in that direction." when you have absolutely no idea of which direction to go. really helpful and understanding people. other than those unable to understand English (which isn't really that big a deal considering how easy it is to encounter someone who can), I can only recommend the populace of Berlin, so don't be discouraged, or otherwise worried, of the people of Berlin, they will attempt to help you. You need only to ask. I ate at my hotel, although I wasn't fully satisfied with the amount of food on my plate, nor the amount of sauce used, it tasted great. about getting around, I took a cab to get around, if you don't have a sense of direction (like myself), getting lost is quite easy, but I think that's the case regardless of where you travel to, if it's your first time visiting. December is a great time to visit Berlin with all of the Christmas markets. The metro is very convenient for getting around so there is no need for a car. There is a lot of new construction in what used to be East Berlin. I'd definitely try out the hotel accommodations there the next time I visit. I've heard that the countryside surrounding Berlin is very nice in the summer. Supposed to be lots of lakes. Think I will check that out next time also. Amazing City! It has the art, history and beautiful cafes and restaurants. Good for vegetarians and meat eaters alike. We really enjoyed the trip. Unfortunately I had my computer broken by the cleaning staff of the hotel (H2 Hotel in Alexandre Platz) where we stayed for 6 nights and the hotel (although took responsibility for the accident) never contacted me back to pay for the repairs.... I have tried very hard not to let this stupid accident damage my view and my experience of this amazing city. So much to see and do but so little time to do it in. Lots to see and do we booked on a 2 day hop on and off bus trip but we found most of the attractions ourselves as our Hotel was very central. 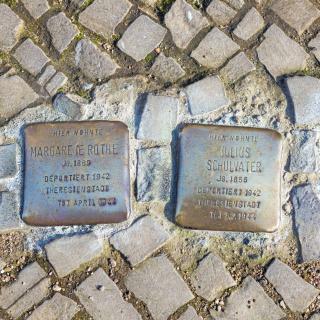 Our hotel was right near to checkpoint charlie . We did struggle for places to eat , we just wanted a pub meal but alot of restaurants were very posh and expensive . very good transport network , we caught the train from schonenfeld airport which was only 3 euros each and you can get off at any stop for the same price. plenty of buses and a metro service as well. plenty to see would really recoommend Berlin for its History and if u want designer shops then there are plenty of them. New hotel, very clean and fresh. Location was great. Berlin Grunau station in within 5 minutes walking distance. Berlin city centre is reachable within 40 minutes. Postdam is nearby as well. Lidl and Netto supermarkets are at the foot of the hotel. Breakfast was good. The staff assured they don't include any pork items which may be a plus for some. Free parking and good WiFi connectivity. Reception staff were friendly and helpful. If travelling by car finding the entrance to the hotel could be tricky. 1) Location was incredibly nice! Very close to public transportation and many of the coolest places in Prenzlauer Berg district of Berlin. 2) The room was very spacious and nicely decorated. 3) It wasn’t cheap but was still more affordable than the hotels in the area. 4) Although we never met the receptionist (owner?) in person, she was very helpful and prompt with her replies to our texts. 5) Self check-in and check-out worked smoothly. 6) The room we stayed had a very nice and clean bathroom. We were a party of family and friends occupying four rooms in different parts of the hotel and all of us enjoyed our stay - so much so that two of us are coming back in May. Gooded rooms; well furnished and comfortable; excellent sound proofing; large bathroom with abundant hot water; excellent breakfast; helpful,friendly and professional staff; excellent public transport link to Berlin city centre and airport (Schönefeld); local shops, and supermarket only 2 minutes away. The staff were good and made for an easy check in and helped when needing info on the public transport. The location was super quiet, both the surrounding area and the actual hotel, which oh meant for a lovely environment. Also public transport is literally at your door. There is no food places too close to the hotel itself and the closest supermarkets is about 3 bus stops away. The value for money was good for Berlin and Germany in general. Staff cannot do more for you. Location is perfect right near Freidrichstrasse which is a main stop in the Berlin city centre. Lots of nice restaurants around and smart design of the hotel to have interior facing rooms as you do not get any rail noise. Didn't mind the interior facing room instead of having a view. Brekkie was very good value and had a great selection - 12euro if you book the day before. Walking distance to 3 different stations - Checkpoint Charlie, Stadmitte and Postdamer Platz stations - fantastic location. We stayed during Dec, and could easily walk to the Christmas market at Gendarmenmarkt, which we felt was the best one in Berlin! Yummy (and popular!) value-for-money Vietnamese-fusion restaurant at the lobby of the hotel. Bed and pillows were comfortable. Easy check-in process. We have chosen to stay in this hotel since it was the cheapest available option in Berlin to answer our needs: located very close to both S-Bahn and U-Bahn, good breakfast, strong Wi-fi, private shower. This list summarizes about everything positive I can say about this property. The staff were also very friendly (though with very limited English) and overall this hotel has good value for money. It’s pretty cool. The staff was kind and gentle, our room was very beautiful with a big window, comfortable beds and a pretty bathroom with all you needs. The structure is near a metro station (U-Bahnhof Bismark Straße)so is well connected with the city centre. I think this hotel deserves more than 3 stars, at least 4. Thank you for all we will surely come back again in Berlin. This boutique hotel is just great, with best location in Berlin. Everything you need is near hotel. Staff is kind and helpful, also good looking, especially the girls on reception. :) Hotel is clean, and looking good inside, as well as outside. I didn't try the food, so I don't know the taste, but I assume it's good. Recommendation to everyone. I’ve stayed in dozens of hotels in Germany and this is one of my favorites. So many awesome things to say. Super friendly staff; insane cool factor; great for the artist and design spirit types; great attention to detail; delicious and organic breakfast; filled with youth and young professionals. Get a t-shirt! It was a good hotel, if you are there for trade fairs it is the best hotel just five mins walk from messe berlin, and train station, good breakfast, and the staffs were very friendly i would definately stay inthis hotel for my next trip. We should have done more research because although this hotel was in Mitte it wasn’t in the heart of the city center (my fault not theirs). It’s a quick walk to the metro which is nice. The room is a decent size. It was clean and tidy. The whole property has its own design and arrangement. Make me feel at home, like my own room. The window is facing a small garden, very quiet, no noise at all. It’s the best stay I’ve ever had in Germany. Nice design, brilliant facilities and friendly and attentive staff. Thank you very much to the Boutique Hotel i31 Berlin Mitte for taking good care of us while staying there. It’s a beautiful hotel in the center of the Mitte in Berlin. The most of the attractions are very close to the hotel. Luxury rooms, great services. Amazing hotel not far from the city center 15 min walk to Mitte. Nice, cozy, modern, clean rooms. Friendly stuff, can’t complain. Best hotel in Berlin. Great staff and service. Outstanding breakfast.